New at Telok Ayer Street is 51 Soho, an all-day dining venue opened by the same folk behind Birds of A Feather and Halcyon and Crane. The all day-dining space has both outdoor and indoor seating with a stylish full-fledged coffee and cocktail bar. The menu also changes per the day catering for the different crowd for breakfast, lunch and dinner. 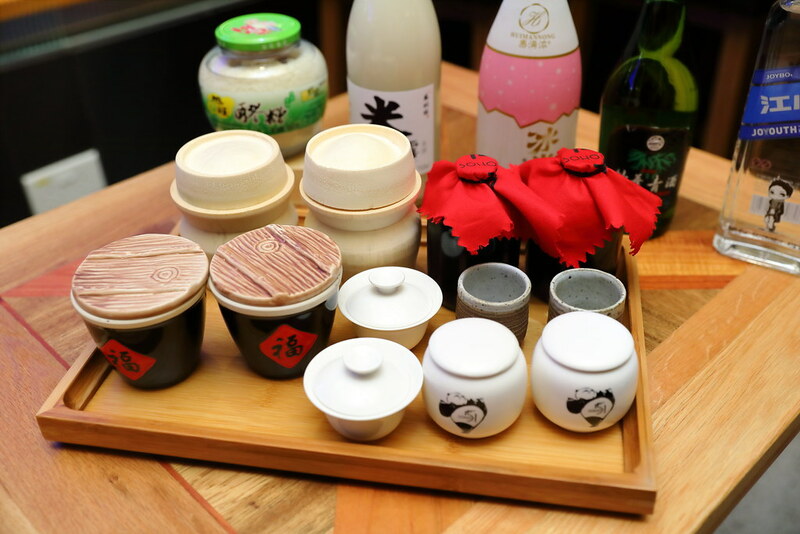 Unlike other bars, 51 Soho offers 5 special cocktails, namely Dancing in The Moonlights, Dr Panda, Bamboo Dream, 51 Soho and Prosperity Cup made from Chinese rice wine, plum wine and bamboo wine. An unique cross cultural concoction that is quite original. 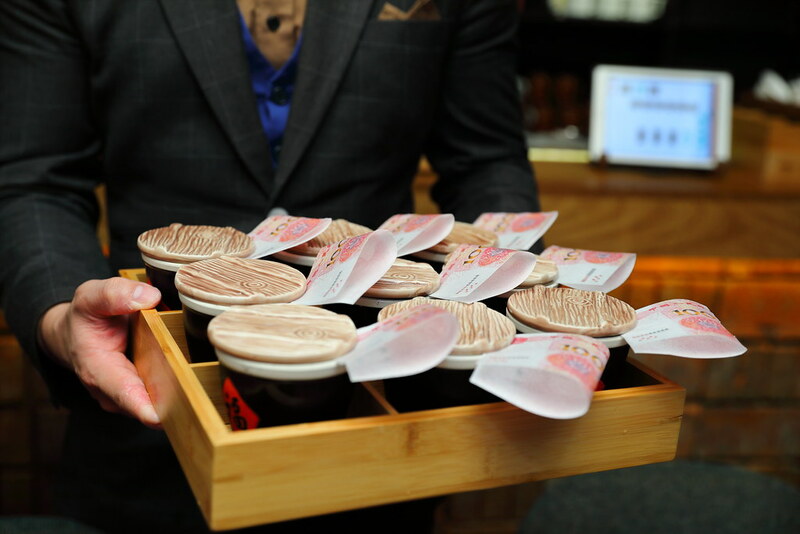 These cocktails made from traditional Chinese Wine will definitely become a signature at 51 Soho. My favourite cocktails of the 5 specials is the Prosperity Cup. The cocktail is a concoction of fermented rice wine, barley juice, barley pearls, rock melon syrup and white chocolate liquor. It is a refreshing and fruity drink. 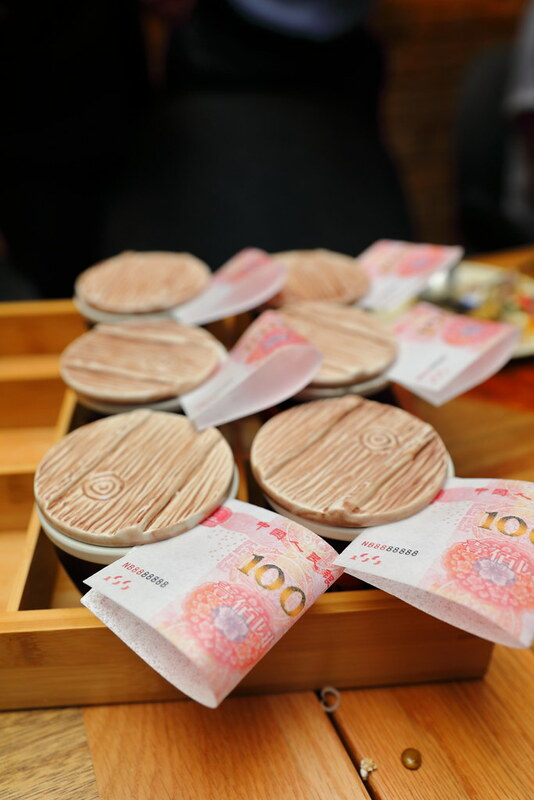 More interestingly is the edible money made from rice paper that is served together with the cocktail. Perfect with the cocktails and drinks are the charcoal grilled skewers dusted with addictive spice dust. 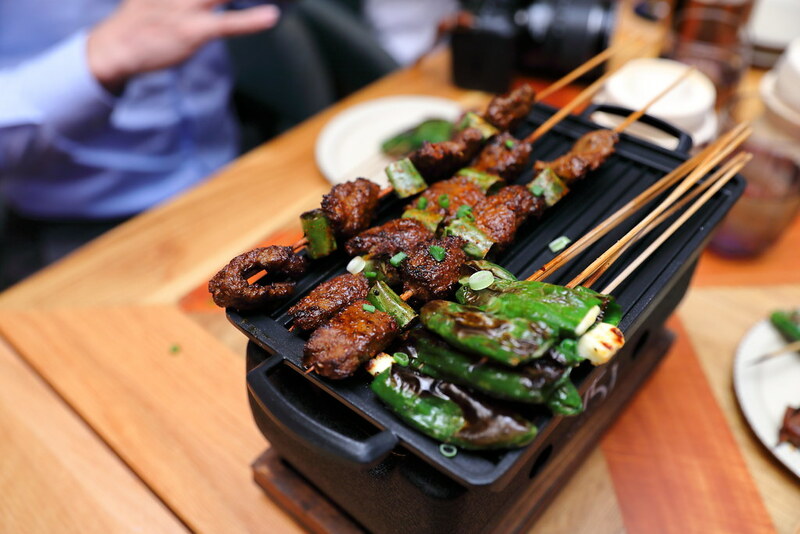 The skewers are inspired by those served in Sichuan drinking house. 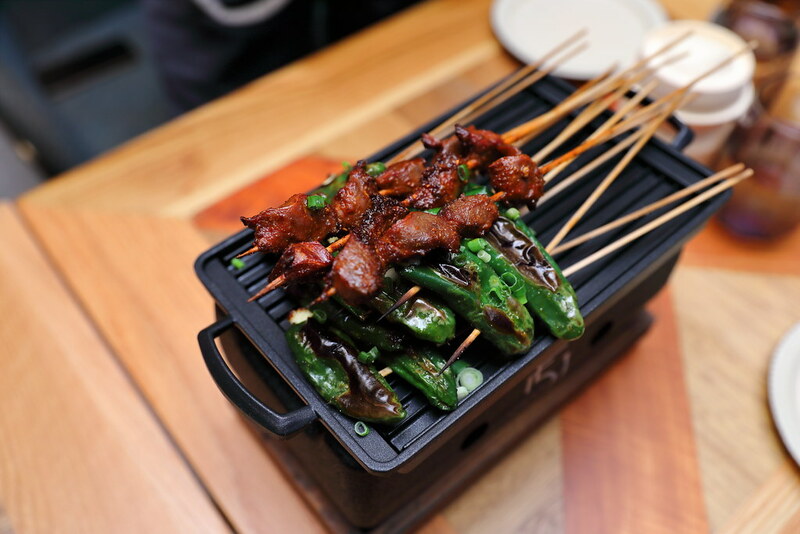 We tried the Padron Pepper with Halloumi Cheese ($8 for 2 sticks), Duck Gizzard ($6 for 2 sticks), Pork Belly ($7.50 for 2 sticks) and Beef ($11 for 2 sticks). My favourites are the more meaty pork belly and beef skewer. 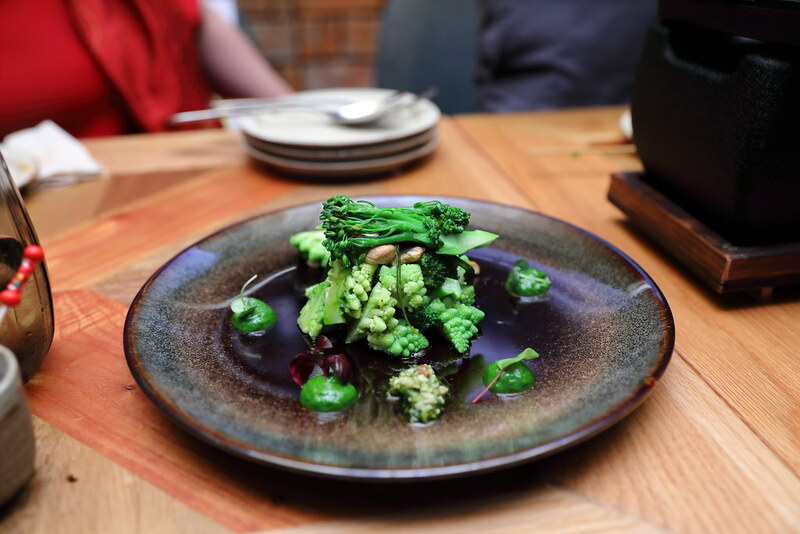 The Green & Nutty ($18) is a light and refreshing broccoli slaw salad dish comprises of broccolini, broccoli florets and romanesco. It is garnished with roasted nuts, raisins and sorghum. I enjoyed the squeeze of lemon juice for that zesty finishing. 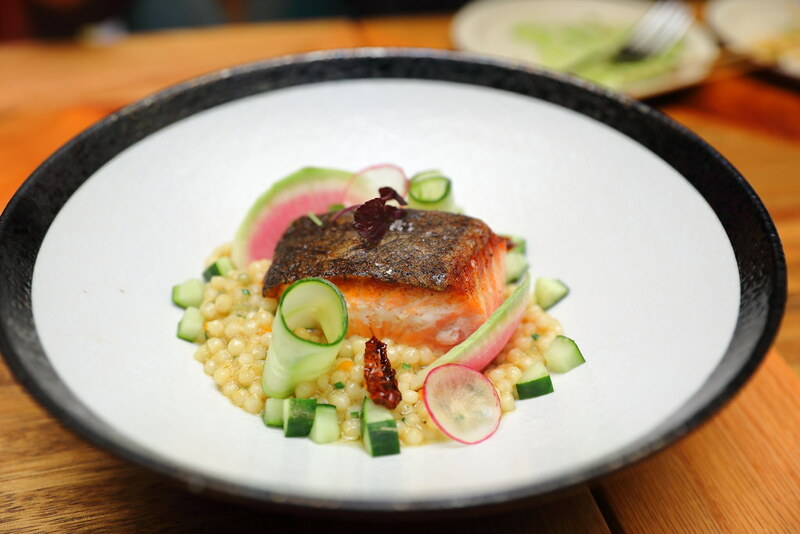 Th pan-fried Salmon ($28) is served on a bed of pearl couscous cooked in fish stock. What brightens up the dish is the sauteed sour vegetables, pickled ginger and chilli, that is very memorable. An Asian take of the duck confit is the Spice De Canard ($30). The duck leg is braised in house made braising sauce (Ru Shui). 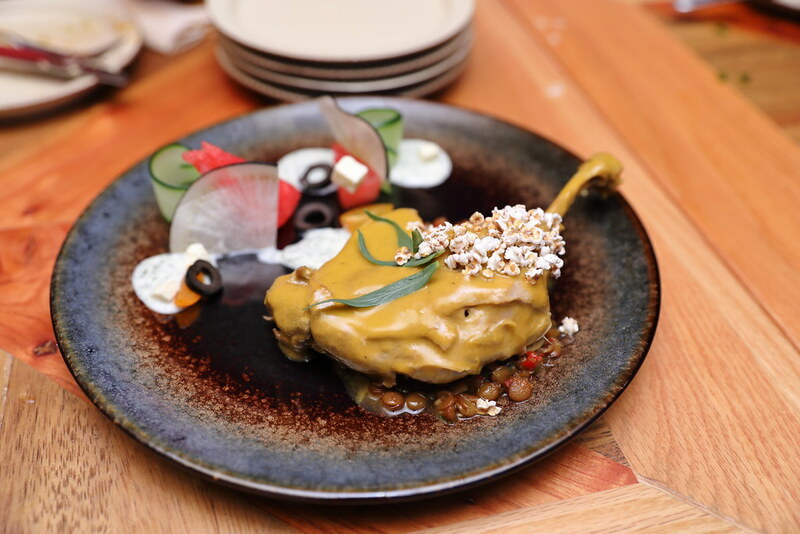 The duck leg is coated with reduced braising liquid and butter sauce, topped with popped sorghum. It is also served with lentil and Greek salad to cut the richness. 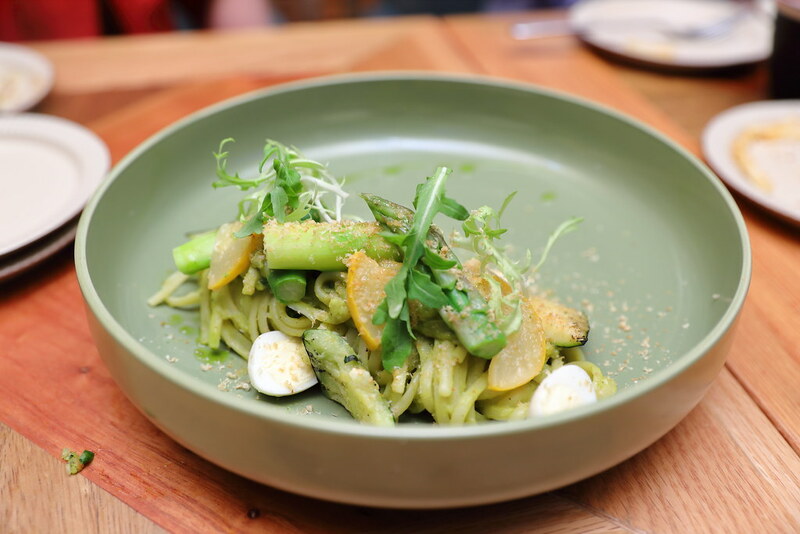 Surprising the Wicked Pasta ($22) served with asparagus, quail eggs, toasted hazelnuts and yuzu-pickled zucchini tasted much better than I expected, especially when everything is green on the plate. Initially I thought it is pesto sauce but it turned our to be a creamy sauce made from fresh and pickled zucchini. It has that surprise element that is both unique and refreshing to the palate. On the contrast, Our Spicy Pasta ($24) turns up the heat with its house made spicy sauce consists of a mixture of Sichuan Liu Po, Lan Gan Ma and Dou Ban Jiang. For diners that love spicy food, this will be well received. 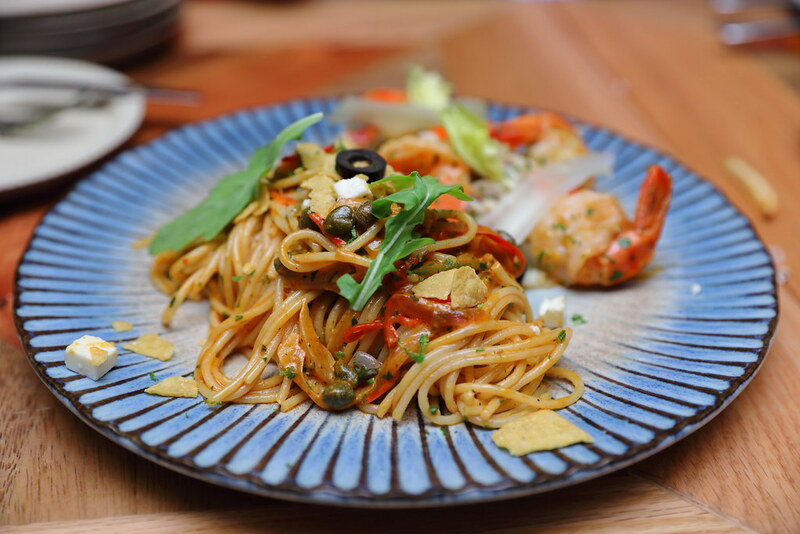 The hot and sour spaghetti also comes with crab meat, tiger prawn, ebiko and tomato confit which is quite a generous in portion. 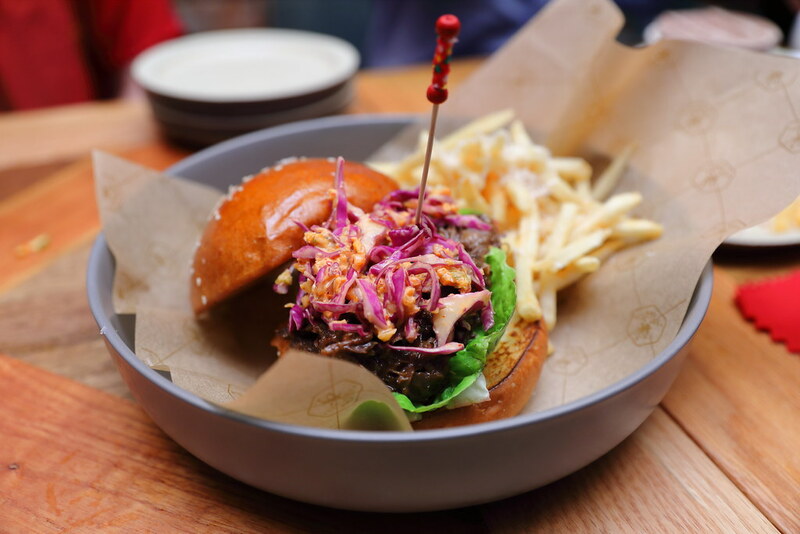 The Soho Burger ($28) comes with pulled wagyu cheek paired with kimchi slaw, sandwiched between soft buttered brioche bun. Shoestring fries seasoned with salt and chives are served on the side. A decent burger but I still like my burger to be juicy and cheesy.